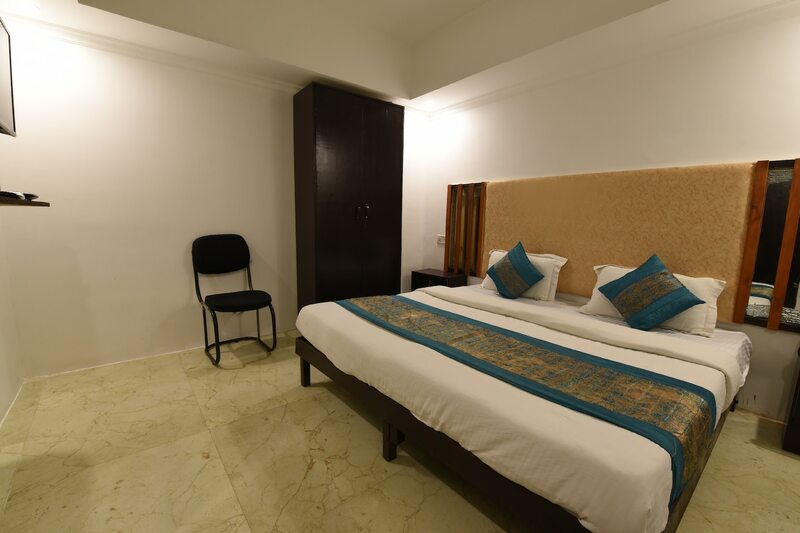 Ocean Blue Residency is an affordable hotel located in Priyadarshini Vihar in Laxmi Nagar, Delhi. Some very popular tourist attractions located within a few miles of the hotel are Khas Mahal, Mumtaz Mahal, Raj Ghat, Jantar Mantar, Ugrasen ki Baoli and India Gate. All the rooms in the hotel are air-conditioned and have a TV, geyser, seating space, wardrobe and an attached bathroom. The guests can also enjoy the free Wi-Fi services and free parking facility. There are several restaurants located close to the hotel including Punjabi Cafe, Mauryan Multi Cuisine, The Golden Dragon Restaurant, Burger Point and Kuttys South Indian Cafe.